Our oilfield services operating area spans all of Texas - NTX, STX, WTX and ETX as well as Oklahoma, Louisiana and New Mexico. 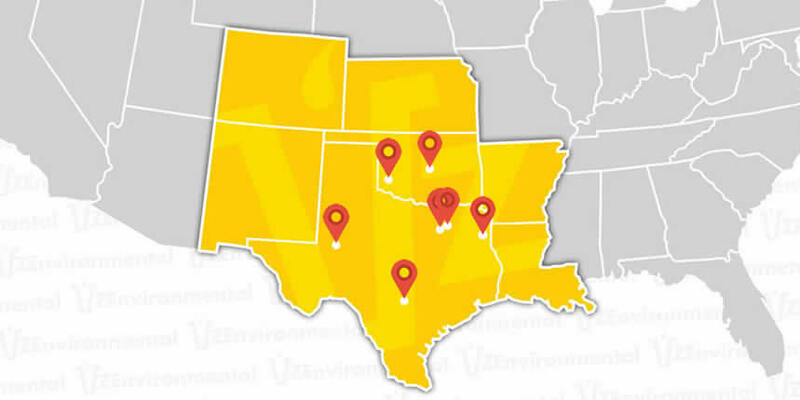 If you're drilling in the Anadarko, Barnett, Cline, Eagle Ford, Haynesville-Bossier, Palo Duro, Permian or Woodford basin shale plays, we have a location near you ready to provide Secondary Containment, Flow Line Safety Restraints, Frac Ponds, Safety Shower/Emergency Eyewash, Light Tower, Power Wash and Vacuum Trailer rentals. If You're Drilling Here...VZ Environmental is Local and Ready! 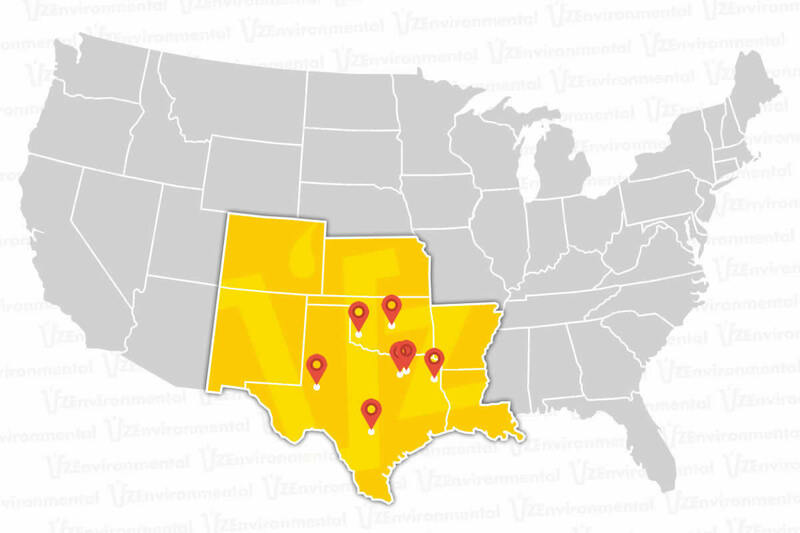 VZ Environmental provides oilfield services to the seven states highlighted below with fully-staffed service yards designated with the map markers. Request a quote online for oilfield secondary spill containment, dynamic pipe restraints, light tower - or emergency shower/eye wash trailer rentals in Texas, Louisiana or Oklahoma. Minimize your operational footprint with our drive-over, resilent foam wall spill containment systems. 20 sizes available to fit your specific needs.